Situated in Christchurch, the University of Canterbury is home to more than 12,000 students and 1,000 staff. 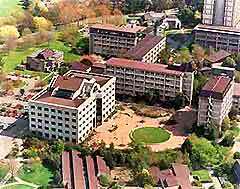 With a vast campus and five main colleges, the university is the largest and most important on New Zealand's South Island. Close to beaches, parks, gardens, wildlife reserves and popular walking / tramping trails, in and around Christchurch, the New Zealand University of Canterbury is part of the Canterbury Tertiary Alliance, which also includes Lincoln University. 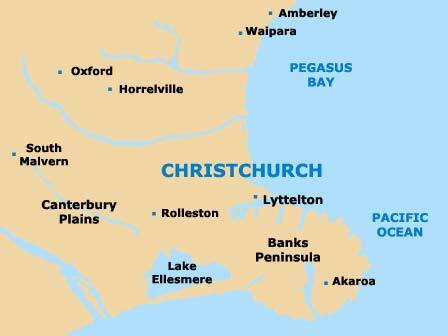 It is even possible to reach skiing fields within just over one hours' drive from the University of Canterbury in Christchurch. The University of Canterbury in Christchurch has become one of New Zealand's leading universities and the spreading university campus includes numerous excellent research facilities, large theatres, lecture halls, museums, galleries, student halls of residence, dining areas, libraries and landscaped gardens. Close to Christchurch city centre, the University of Canterbury hosts many exciting festivals and events throughout the year in Christchurch. The University of Canterbury also has a wide range of societies and associations, including many highly regarded university sports and athletics clubs. New Zealand's highly acclaimed University of Canterbury has a huge number of societies, clubs and leisure activities. These include many different sports and recreational university clubs, such as fencing, football, hockey, mountain biking, rowing, rugby, tennis and snow sports. Other popular societies at activities at Canterbury University include martial arts, a Christian Union, dance, debating, drama, photography, the University of Canterbury Geological Society, the Law Society, the Photographic Society, the Society of Science, and the University of Canterbury Taekwon Do Academy.